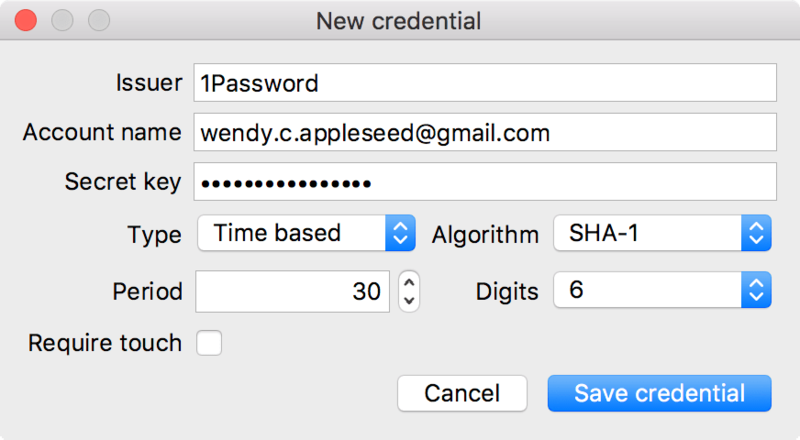 Two-factor authentication is an extra layer of protection for your 1Password account. With two-factor authentication, a six-digit authentication code will be required to sign in to your account on a new device, in addition to your Master Password and Secret Key. Your YubiKey can provide the authentication codes. If you don’t have a YubiKey, use two-factor authentication with an authenticator app. Click More Actions > Turn On Two-Factor Authentication. Enter your Master Password and click Next. You’ll see a 16-character two-factor authentication secret. Insert your YubiKey into the USB port on your computer. 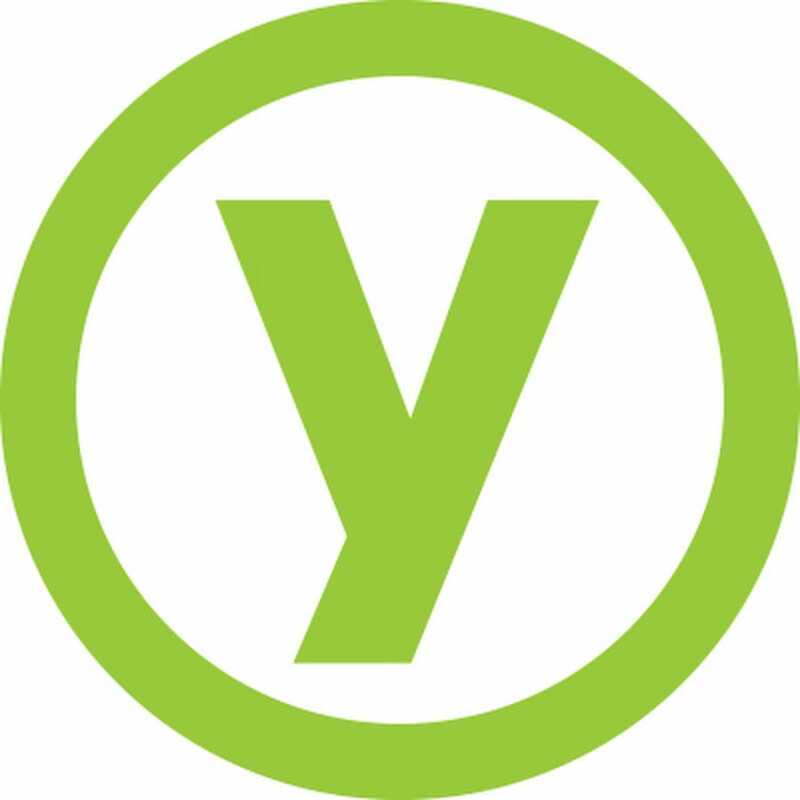 Open Yubico Authenticator and choose File > New Credential. Account name: The email address you use with your 1Password account. Secret key:* The 16-character two-factor authentication secret. To hide the six-digit authentication codes until you touch the sensor on your YubiKey, turn on “Require touch”. On 1Password.com, click Next, then enter the six-digit authentication code. Your 1Password account is now protected by two-factor authentication. From now on, you’ll need to enter a six-digit authentication code from Yubico Authenticator when you sign in to 1Password on a new device. * The secret key is not the Secret Key for your 1Password account. To view your authorized devices, sign in to your account on 1Password.com. Then click your name in the top right and choose My Profile. Deauthorize Device: Your account will be removed from the device. Require Authentication Code: Your account will remain on the device, but changes you make on other devices will not appear on that device until you reauthorize using a six-digit authentication code. a YubiKey 5 Series, YubiKey 4 Series, YubiKey NEO, or YubiKey FIPS Series. Compare YubiKeys. Sign in to your account on 1Password.com in an authorized browser. If you don’t have access to an authorized browser, ask someone to recover your account. Click More Actions > Turn Off Two-Factor Authentication. If your team uses Duo, you won’t see the option to turn on two-factor authentication because Duo is already providing multi-factor authentication for everyone on your team. Make sure the date and time are set correctly on Mac , Windows , and Android .